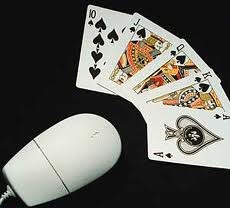 Is Player Segregation the Future of Online Poker? There are a number of terms bandied about in the online poker industry: Liquidity, Poker Ecology, and Segregation, the last of which will be the focus of this article. The word segregation tends to evoke negative images, but for online poker rooms it’s used not as a weapon but as a protection, both for the long-term good of the online poker room as well as for the casual players at the site. In this column I’ll take a look at three recent examples of online poker rooms/networks segregating parts of their player base. Recently the iPoker Network decided to create two separate tiers for the numerous skins operating on the network. The top performing skins would be rewarded with exclusive tables not available to players from other poker rooms on the network, and one of the main factors for a room to be promoted to the top tier was new signups and a good ratio between winning and losing players. What the iPoker tiers accomplished was keeping poker rooms that cater to winning grinders from mingling their winning player bases with the new and casual players at other poker rooms. These segregated tables were designed to prolong the life of the new players and create a better atmosphere to play at iPoker: The jury is still out on its effectiveness. Much like iPoker’s move, the segregation of tables at Lock Poker was an effort to protect Lock’s new players from other rooms on the network that are overloaded with winning players. Secondly, when Lock’s players lost money to other rooms’ players they were essentially transferring money from Lock Poker to the other room. There were a number of rumors that this was being done deliberately to facilitate cash-outs from rooms with faster withdrawal times. The latest room to ponder segregating tables is Party Poker. Party Poker’s segregation will be slightly different from both iPoker and Lock Poker in that the site will segregate tables based on a player’s skill level after “grading” the player. “We are continually looking for ways to balance our poker room ecology. As we have said before, we are testing various features to make poker a more fun and entertaining game for both new and inexperienced players.